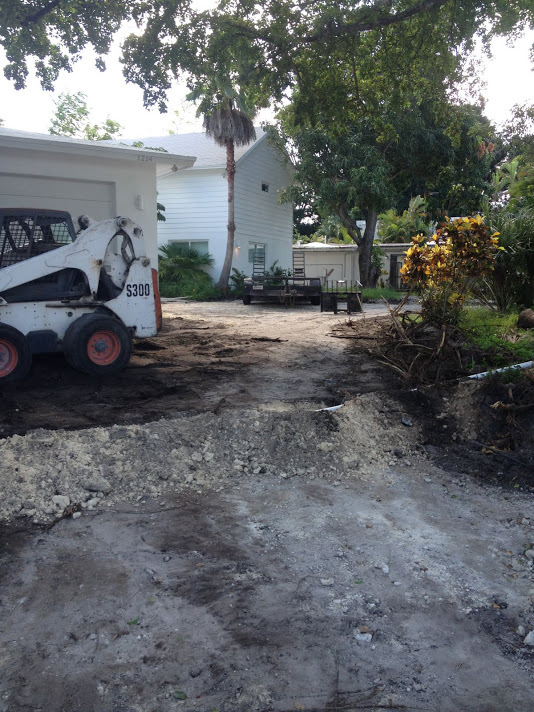 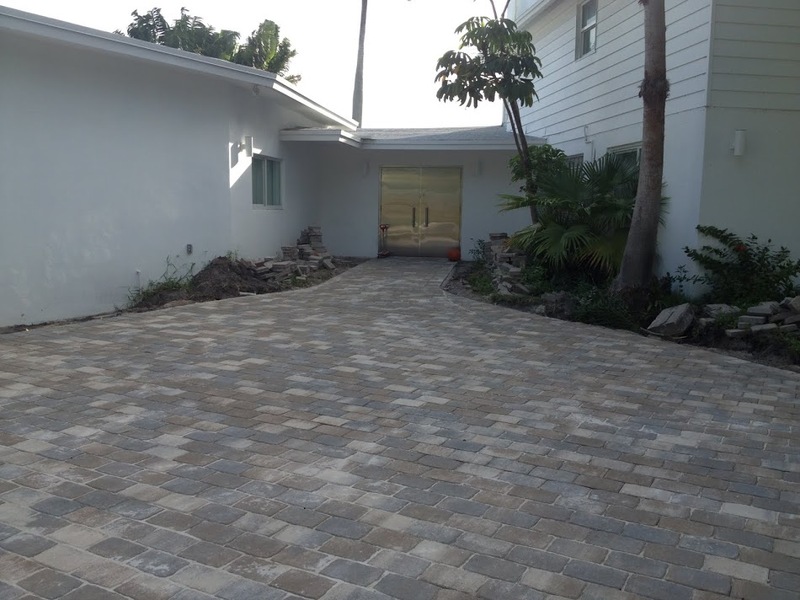 Driveway Construction Coral Ridge | America Pavers Contractors, Inc.
America Pavers Contractors is pleased to share the detailed process for one of our projects. 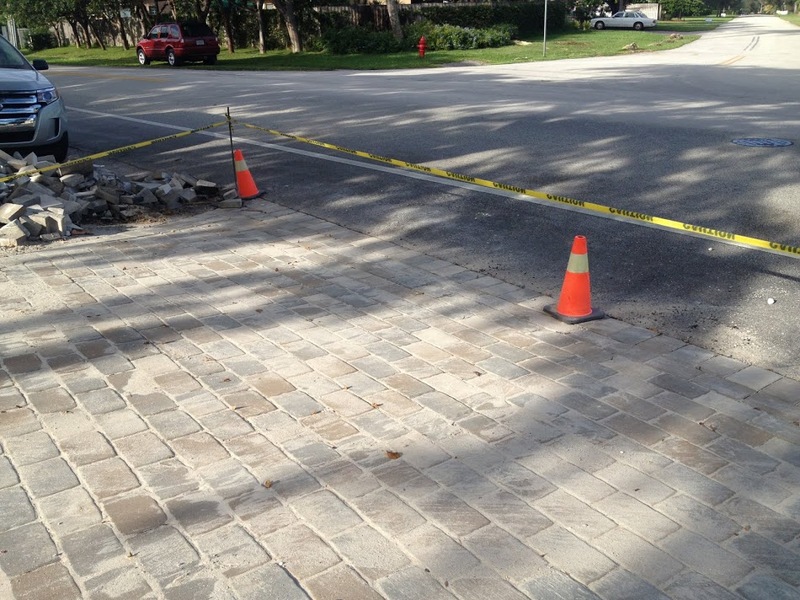 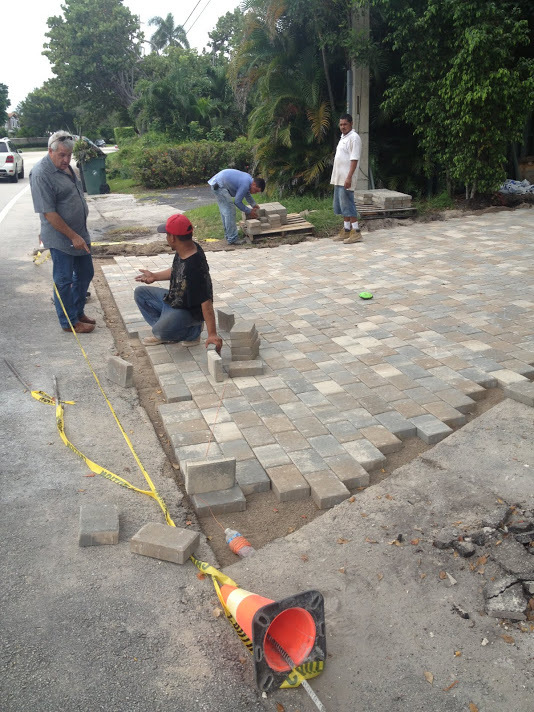 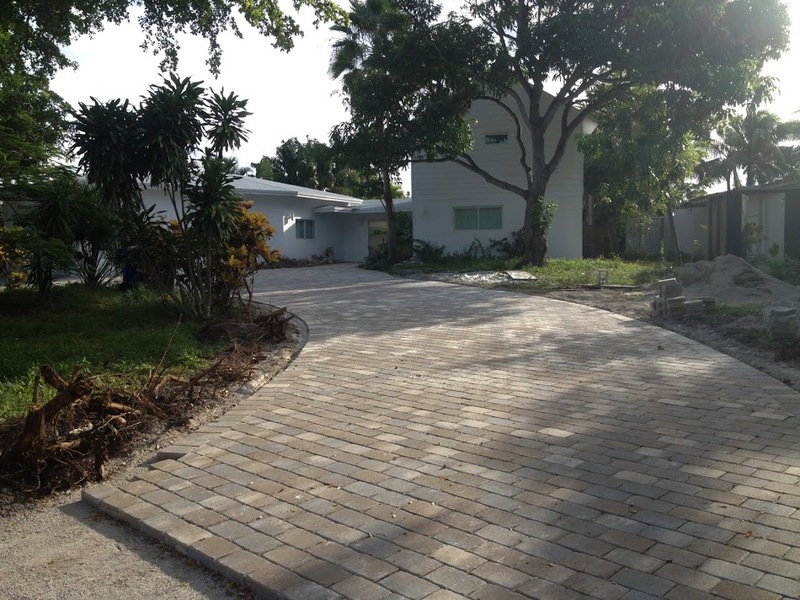 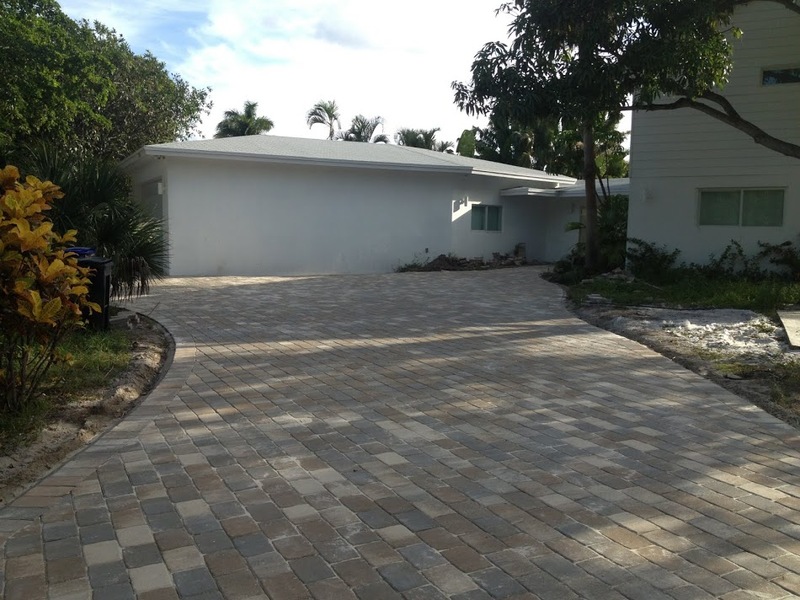 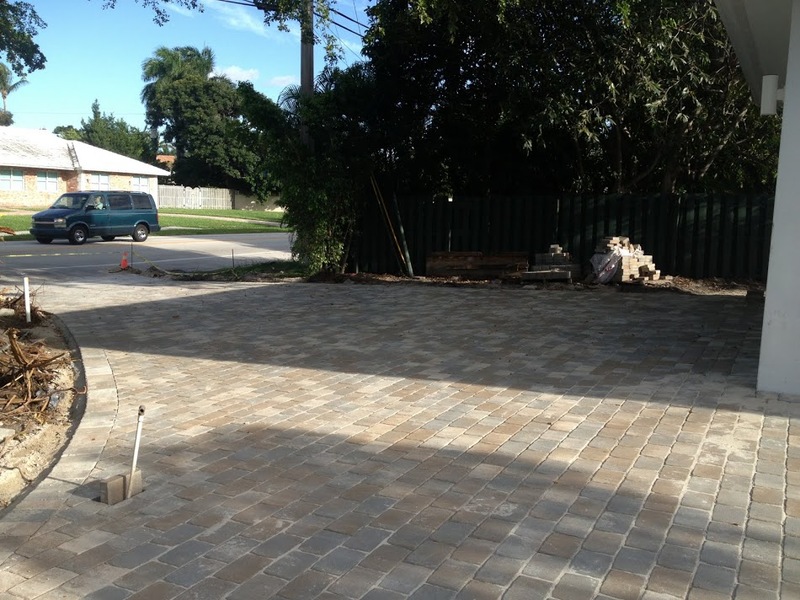 This paver driveway construction project is one of several paver jobs completed in the Coral Ridge area of Fort Lauderdale, Broward County, Florida. 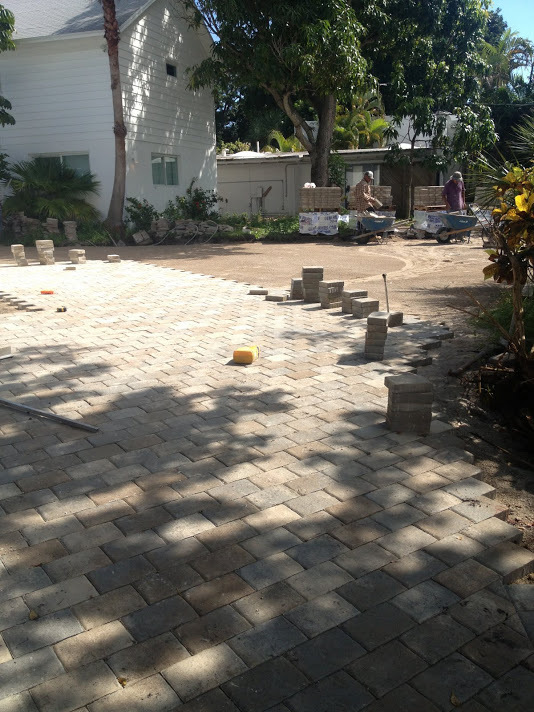 America Pavers foremen and installers make sure that the paver installation is to the design specifications of the Driveway Construction Coral Ridge blueprints. 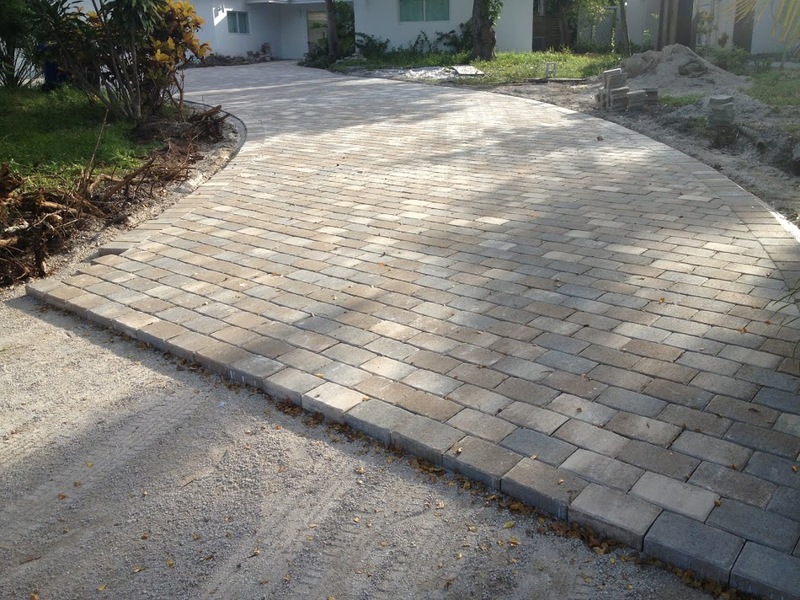 Detailed attention is made to assure that the driveway pavers have the proper fit and slope where the driveway intersects with the street. 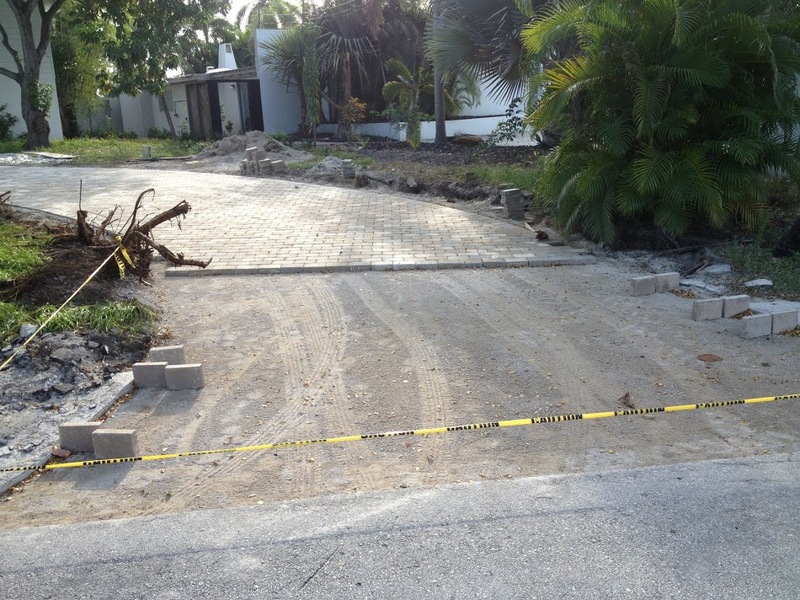 To comply with city code and assure that the driveway will be stable, the America Pavers crew carefully follows proper excavation practices, taking soil down to a depth of approximately 9 inches. 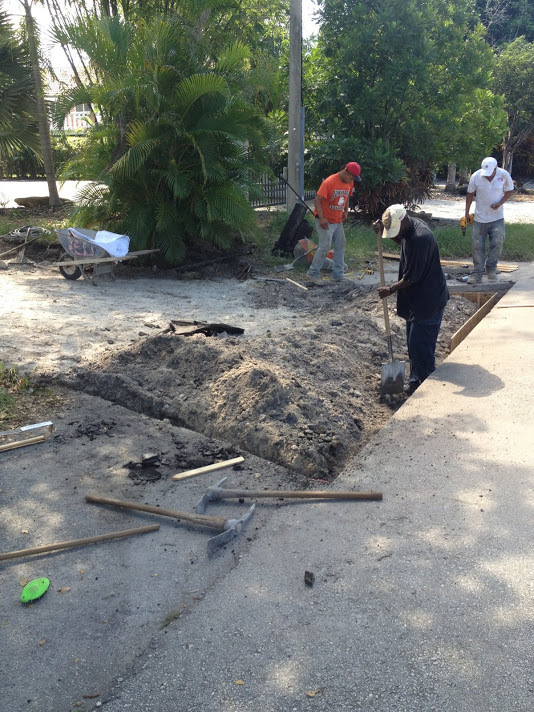 Form boards are made to make sure of excavation to proper grade. 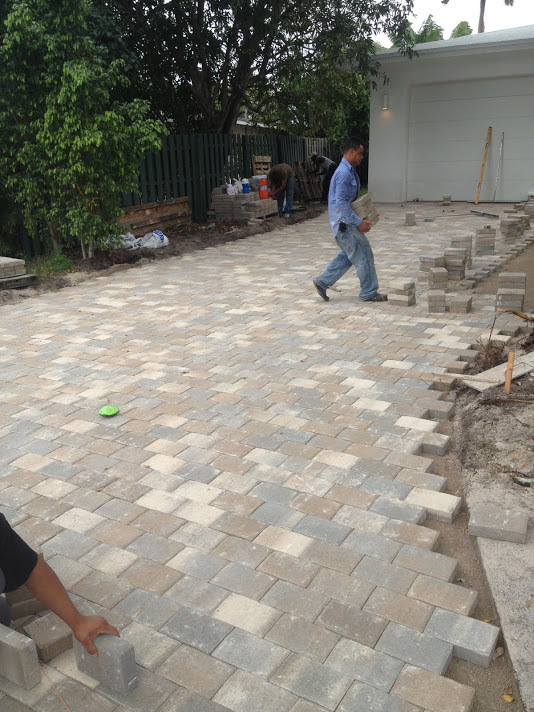 Here workers are preparing area for that particular phase. 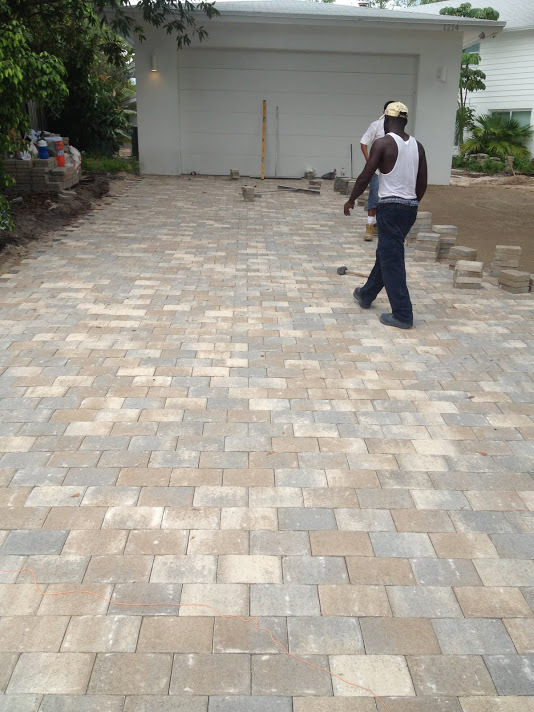 Form boards are in place to hold the contour lines of the driveway apron. 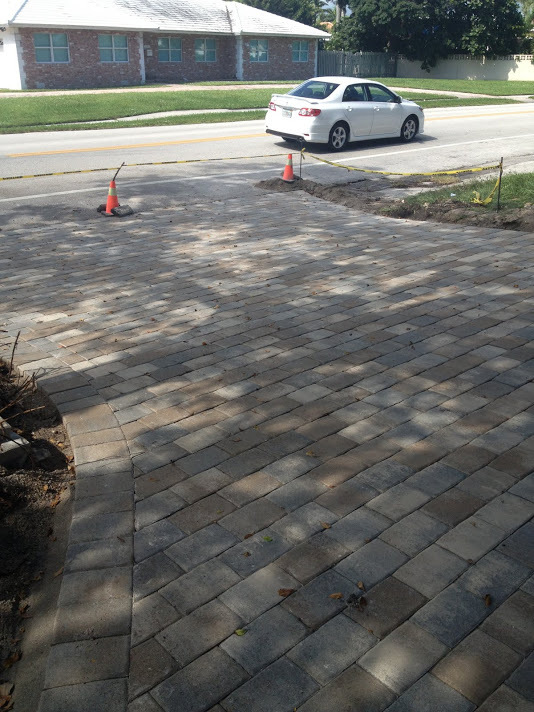 In order to mark the lines before this is done. 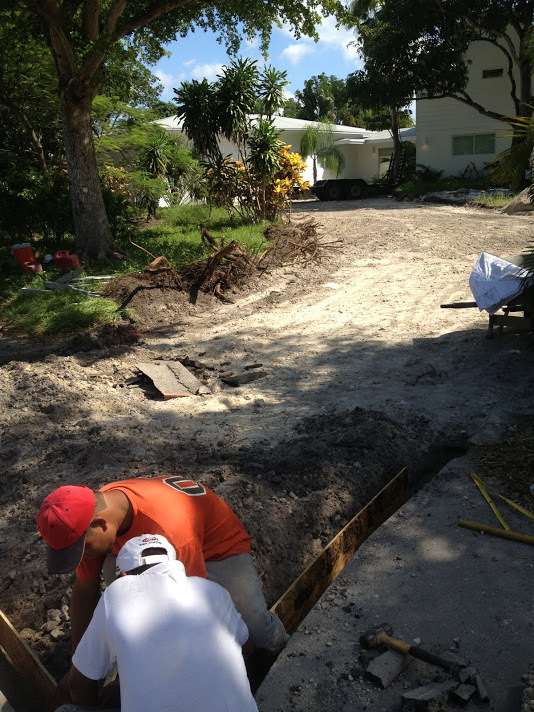 Usually a light grade PVC pipe is bent or twisted in an arc to make the desired pattern.